Click the image above to view the SAW Grant presentation from the February 27, 2019 Board of Trustees meeting. Pittsfield Township's Utilities Department has been awarded a Stormwater, Asset Management, and Wastewater (SAW) Grant in the amount of $1,263,416.00. 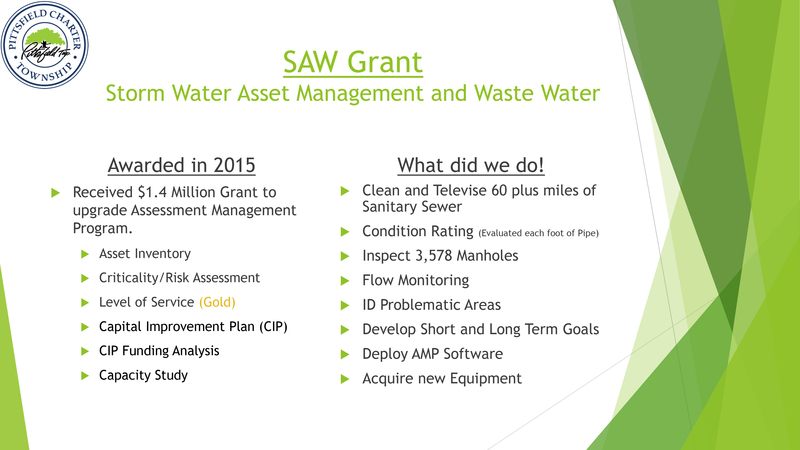 The purpose of this grant is to collect the necessary information from our existing infrastructure and sanitary sewers, perform a condition assessment, create a formal asset management plan and program for continuous monitoring, create and a Capital Improvement Program for maintenance and replacement. 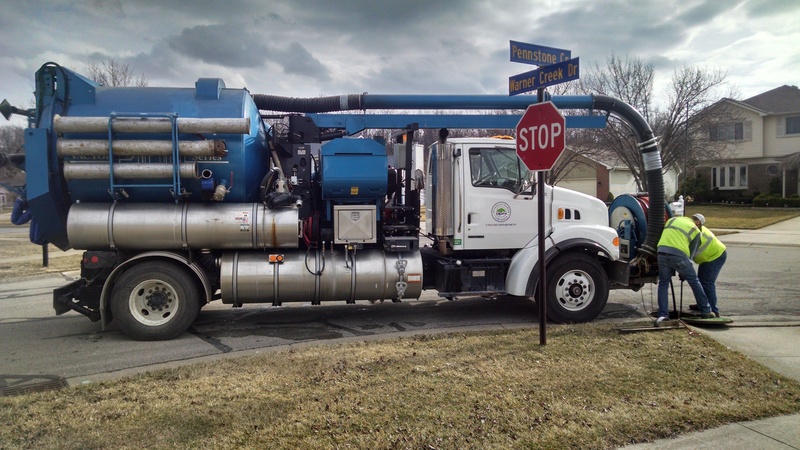 The scope of work will be completed through utilizing a closed caption television camera (CCTV) which will travel through approximately 70 miles of sewer pipe through the township. This work does not require any open cut/excavation of sewers. All sewers are accessed through existing manholes. 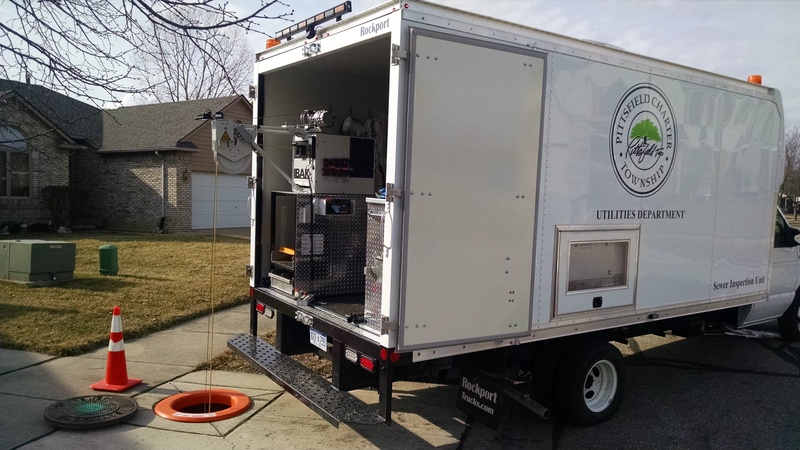 You will, however, see equipment such as the camera truck and/or vactor pictured below set up on our local streets. Have any questions related to this project? Contact Craig Lyon, Director of Utilities and Municipal Services at 734.822.2109.